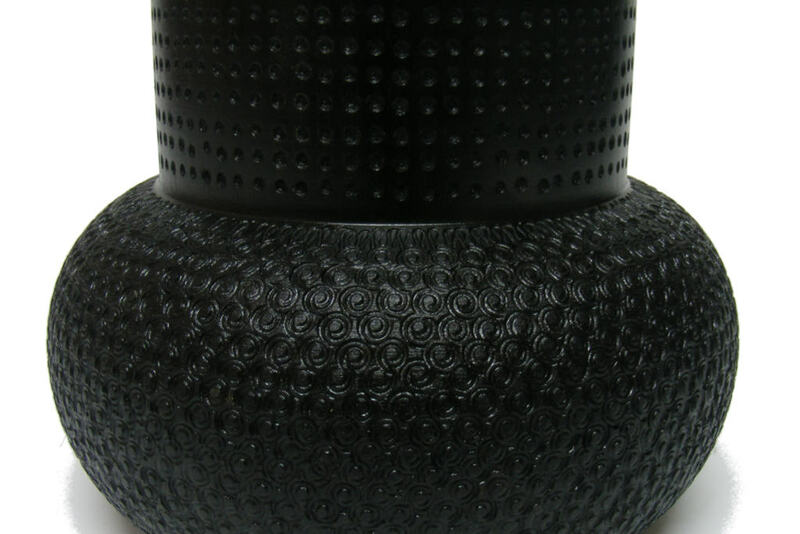 This textured black vase is covered with branding pyrography and dyed black. 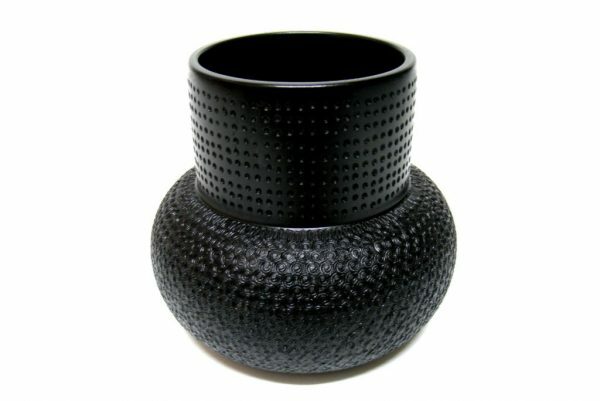 The designer vase can hold real flowers by placing a glass inside. It can be used w/ dried flowers or weeds and it is makes a statement by itself as well. It is made from avocado wood. First, I turned the shape on my lathe, hollowing out the inside and then I covered the vessel with branding pyrography designs. This is a labor intensive job which requires endless patience. Then I dyed the whole thing black. 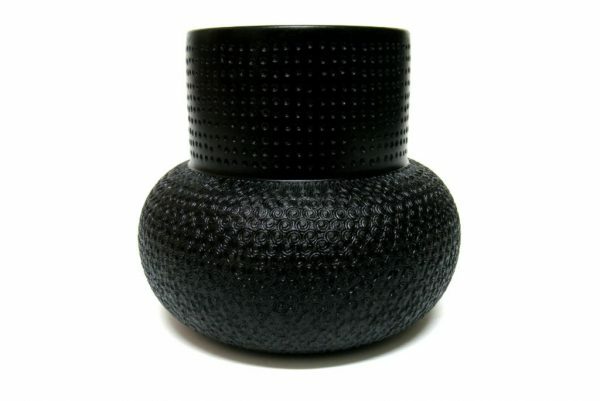 Finally I finished it with water based polyurethane which preserves the piece and is a long lasting finish. Dusting is the only care needed. 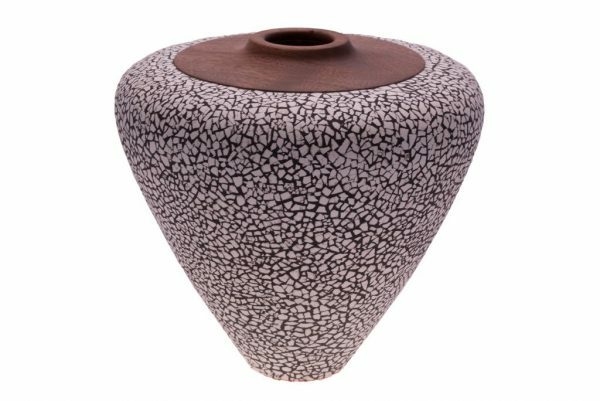 This heirloom quality vessel makes a great anniversary gift for someone special. It will make you happy every time you see it. It measures about 5″ D x 6″ tall.